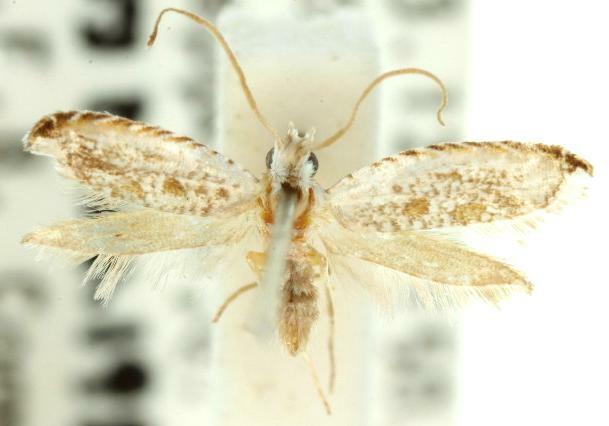 The adult moth of this species has off-white forewings, each with some scattered brown markings, and a set of oblique brown dashes along the costa. The forewings have hooked wingtips. 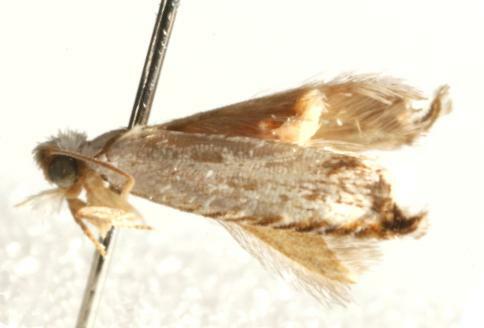 The hindwings are plain brown, darkening at the wingtips. The wingspan is about 2 cms. Volume 13 (1965) p. 722.